The teaser trailer has arrived for the live-action version of Dumbo. The reimagining of Walt Disney’s 1941 classic animated film stars Colin Farrell, Danny DeVito, Eva Green and Michael Keaton. Dumbo introduces Holt Farrier (Farrell), a former circus star who finds his life turned upside down when he returns from the war. Circus owner Max Medici (DeVito) enlists Holt to care for a newborn elephant whose oversized ears make him a laughingstock in an already struggling circus. But when Holt’s children (Nico Parker and Finley Hobbins) discover that Dumbo can fly, persuasive entrepreneur V.A. Vandevere (Keaton) and an aerial artist named Colette Marchant (Green) swoop in to make the peculiar pachyderm a star. The film is directed by Tim Burton (Edward Scissorhands) and the creative team includes cinematographer Ben Davis, BSC (Doctor Strange), production designer Rick Heinrichs (Star Wars: The Last Jedi), costume designer Colleen Atwood (Alice in Wonderland), editor Chris Lebenzon, ACE (Alice in Wonderland) and make-up designer Paul Gooch (Alice in Wonderland). The original animated Dumbo was released on 23rd October 1941. It won an Oscar for best scoring of a musical picture and was nominated for best original song for Baby Mine. 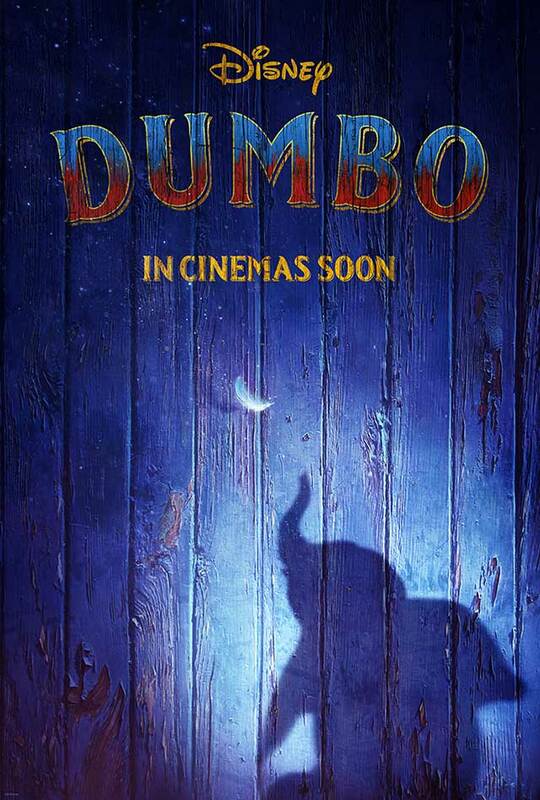 Dumbo is released in cinemas in March 2019.